← NFL Pick ‘Em Season 5 Week 3 – Who Is The Underdog? 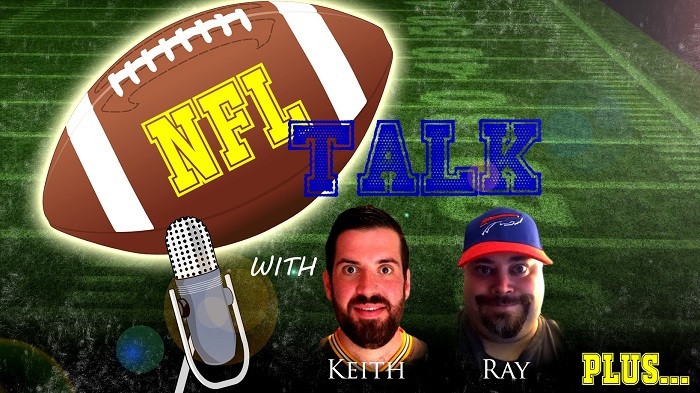 Ehnother Podcast Proudly Presents: NFL Talk Plus Episode 41! Week 2 of the NFL season is in the books, and Keith and I are here to bring you all the news coming out of those Week 2 games. We talk injuries, cuts, signings, a suspension, some milestones and of course the ongoing Zeke Elliott vs NFL saga. In the second half of the show we discuss the games of Week 2, and then tell which games we’re focusing on for Week 3. This entry was posted in NFL Talk Plus and tagged Akeem Hunt, Antonio Gates, Atlanta Falcons, Baltimore Ravens, Buffalo Bills, C.J. Spiller, Carolina Panthers, Cleveland Browns, Corey Coleman, Detroit Lions, Eddie Lacy, Eric Reid, Ezekiel Elliott, Football, Green Bay Packers, Greg Olsen, Houston Texans, J.J. Watt, Jacksonsville Jaguars, Jalen Strong, Jeremy Langford, Joe Thomas, Kansas City Chiefs, Keith, Kenneth Dixon, Los Angeles Chargers, Marshal Yanda, Miami Dolphins, Minnesota Vikings, New England Patriots, New Orleans Saints, NFL, NFL Talk, Nick Perry, Ray, Ryan Nassib, San Francisco 49ers, Seattle Seahawks, sports, statistics, Stephone Anthony, Su'a Cravens, Tampa Bay Buccaneers, Tennessee Titans, Vic Beasley, Warlock Hour, Washington Redskins. Bookmark the permalink.